I made these at the beginning of KCW, but she just would NOT let me take pictures of her wearing them! I had these sweat pants I had bought from Delia’s years ago. They seemed to have shrunk over time and just sat in my closet, but I couldn’t donate them because the hearts were so cute. 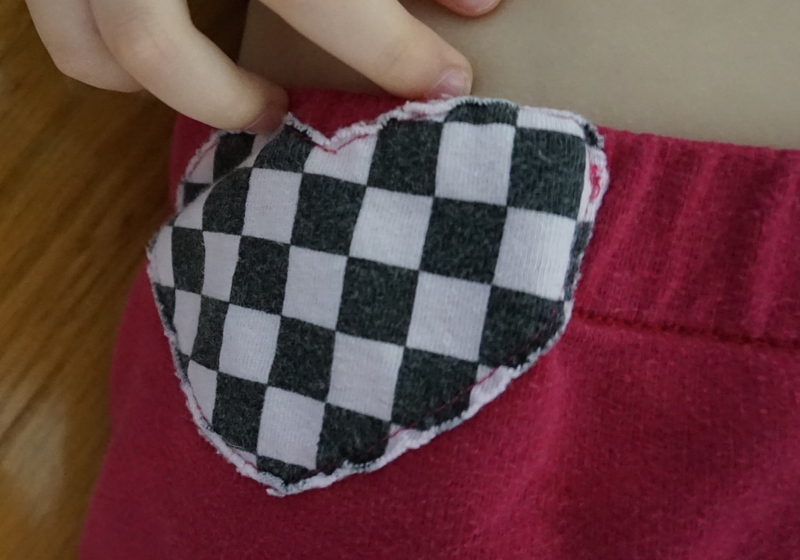 My daughter noticed these hearts peeking out a few weeks ago, and I thought they would be perfect to upcycle into a little pair for her, and it fit in with KCW’s upcycle theme! I simply cut them apart at the seams. This made it really easy to see which parts I wanted to use, as well as remove most of the bleach stain that ruined them (I don’t even use bleach???). There’s still a little bleach stain in the front, but I don’t think anyone really notices it, and let’s face it, kids stain clothes quickly anyway (ahem…and roll around on the floor covering them with fur). 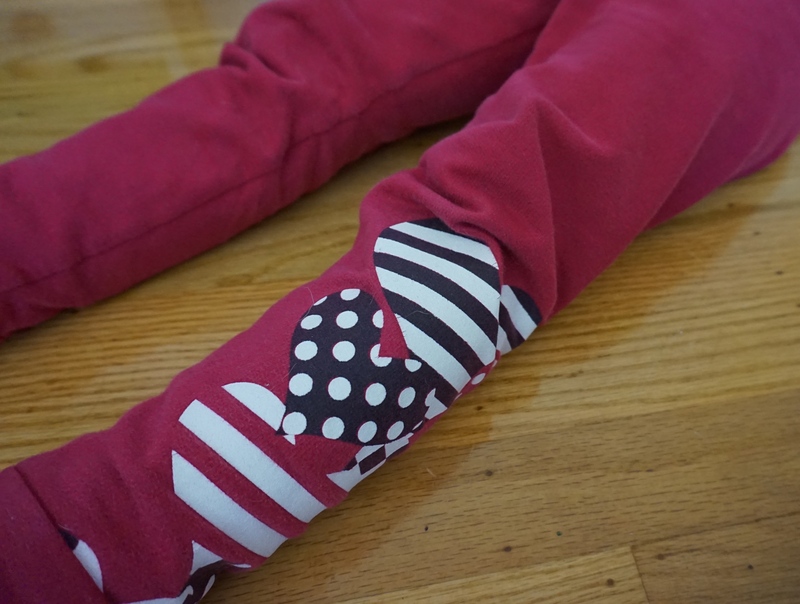 I used the Go To Leggings pattern. I added cuffs, then followed the pattern directions to add the elastic waist band. 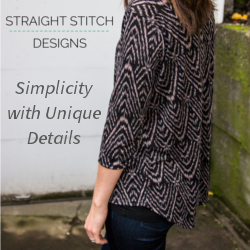 Sooo easy with a serger! I then used my stretch stitch setting on my sewing machine to finish the waistband. Here’s a really good elastic waistband tutorial from Lladybird, although the pattern instructions are pretty clear too.